Sometimes, old friends can be hiding behind new names. Take Alma Rosa Winery. Ring any bells? OK, how about Sanford? As in Pinot Noir? As in Sideways? There is a new/old family winery in the Santa Rita Hills. Owned by Richard and Thekla Sanford (that's the old part) and named Alma Rosa (the new part), this winery is producing some great wines (the best part!). The first Santa Barbara Pinot Noir I ever had was back in the late 90s--and it was made by the Sanfords. I'm so glad that I get to enjoy wines that they've crafted once again. 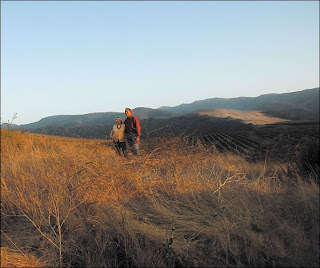 (photo of Thekla and Richard from the Alma Rosa Winery and Vineyards website). 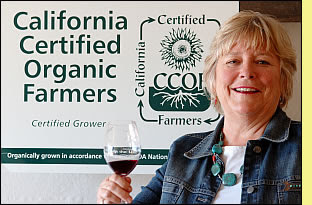 The Sanfords are inextricably bound to the history of the Santa Barbara wine region, and deservedly so. In 1970, Richard Sanford planted the very first pinot noir grapes in the Santa Rita Hills in what would become the legendary Sanford and Benedict Vineyard. At the time, most were skeptical about pinot noir's chances in this region. But the vines thrived, and in 1981, Richard and his wife, Thekla, started a little winery called Sanford and set up their tasting room in a tin-roofed shack. There, the Sanfords began to turn the wine world on its head with their pinot. A little movie called Sideways, some of which was shot in their very own tin-roofed shack, didn't hurt either. No merlot here, thank you very much. They grow Pinot Noir in them there hills. This fall, I got a chance to visit the new/old tasting room for Alma Rosa Winery and Vineyards, which is once again located in that old tin-roofed barn down the gravel path and over the winter creek just past the El Jabali vineyard. They took up residence there again in July 2007 after a brief hiatus. The tasting room staff is friendly and welcoming, the wines are superb, and the atmosphere is laid-back. If you find yourself in the Santa Rita Hills one day, make sure you stop in there. What follows are my notes and impressions of the wines I enjoyed at Alma Rosa Winery this fall. The prices indicated here are the suggested retail prices at the winery; as always the price you pay may be higher or lower at your local merchant. Clicking on a wine's name takes you either to a list of merchants who stock the wine, or to the online order form that will enable you to get some of the wine into your own private tasting room. 2006 Alma Rosa Pinot Gris ($16). Juicy white peach and citrus aromas and flavors, with a note of almond on the palate that extends into the finish. This excellent wine was perfectly balanced between the flavorful fruit and the bright acidity. A versatile, food-friendly wine with excellent QPR. 2005 Alma Rosa Pinot Noir Vin Gris El Jabali Vineyard ($20). This is not a rosy rose. Pale salmon in color, this dry wine tends slightly towards copper. The aromas were of field-fresh, slightly under-ripe strawberries, or those little French wild strawberries called frais des bois. Tart strawberry flavors, too, with no hint of watermelon. Very distinctive, and very good QPR. 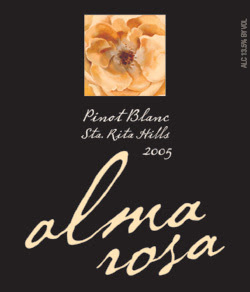 2005 Alma Rosa Pinot Blanc ($18). This creamy pinot blanc spent seven months in neutral oak barrels, which produced rich aromas of melon and pear. Very nice, and a good wine for richer fish and chicken dishes. Very good QPR. 2005 Alma Rosa Pinot Noir La Encantada Vineyard ($49). This was fantastic. Aromas and flavors of brown sugar, cherry, eucalyptus, and pine. Lots of complexity in the finish, with earth and spice notes added. Expensive, but good QPR nevertheless for a classic Santa Barbara pinot noir. 2005 Alma Rosa Pinot Noir ($36). Fresh raspberry, rhubarb, and spice aromas are all found in the flavors, which turn a touch candied on the finish. Nice balance and complexity, and it would be great with food (especially mushroom dishes). Good QPR. 2005 Alma Rosa Chardonnay El Jabali Vineyard ($30) This is one wild chardonnay, which is full and round despite the fact that the wine didn't go through malolactic fermentation. The aromas and flavors are reminiscent of a freshly cut pineapple, and there is a twist of lime on the finish. Another distinctive wine, with good QPR. When you spot a new label, like Alma Rosa, be sure to look behind it and find the people who are making that wine. They may be old friends, and when you open up your "new" bottle you may feel like you've come home. Morning, folks! Today Tom Wark of Fermentation posts an interview of--me. This comes complete with a picture of myself, two dogs, and a glass of Navarro Edelzwicker! We talk about how I got started, what I've learned along the way and who I'd invite to dinner if I got a chance. It's quite an honor to be included in a lineup of interviews that includes good friends like Tyler Colman, Russ Beebe the Winehiker, Lenn Thompson from Lenndevours, Tim Elliot of Winecast and Ryan and Gabriella from Catavino as well as bloggers I admire like Terry Hughes from Mondosapore and Eric Asimov from the NYT. If you haven't been reading these interviews, head over there and check them out. Holidays are full of traditions. Eggnog. Mistletoe. Dreidels. Latkes. Takeout. 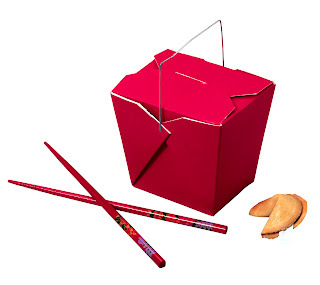 Takeout is a tradition that goes back at least as far as ancient Rome. But during the holidays, there is no happier tradition in my opinion. To fully enjoy it, it's imperative that you stock up on specific kinds of wine and have them in the cabinet and waiting for your next needy moment. In my house, we don't like to spend more on the takeout wine than on the takeout itself--despite Dean & Deluca's latest and best efforts to get me to spend $395 on six bottles of wine because "nobody drinks fancy wine every day." Well, I think we can do a lot better than that, don't you? For far less than $395, here are some wines that go great with your takeout, and will leave you lots left of dosh left over for holiday shopping. Riesling--This is what you need for incendiary takeout, such as hot Thai curries, vindaloo, and raging Szechuan cuisine. Go for something dry or off-dry for best results. There are lots made in the US and Australia that are not terribly expensive, or you can splurge slightly and get a bona fide German riesling kabinett like the 2005 Max Ferd. Richter Graacher Himmelreich Riesling Kabinett($16.95, Chronicle Wine Cellar; available elsewhere for between $15 and 27) It had full aromas of peach, peach blossom, and apple with a silky texture and flavors of apple, citrus, peach, and flowers that were distinctly off-dry. Viognier--This is what you need for everything Asian that is not searingly hot, or spicy little chicken wings. If you like noodle bowls, pad thai, and mu shu, this is the wine to have on hand. Try the 2005 Domaine de Gournier Viognier, a producer recommended to me by Dr. Weingolb. (I got this as a sample from domaine547, and you can get it there for just $10.99). It was drier than most domestic viognier, with subdued citrus and apple aromas, and a predominantly apple palate. Red Blends--These are vital for your pizza delivery nights, or for coming home to after driving through In-N-Out Burger. Blending several red varieties helps to keep the wine soft, affordable, and relatively inexpensive. There are lots of earlier reviews for red blends on the site, but we just enjoyed the 2004 Peterson "Zero Manipulation" red blend and highly recommend it for your house red this holiday season. ($12.49, WineQ) It is a carignane-based blend with additions of zinfandel and mourvedre, and it tastes a bit like an Italian red. High-toned red fruits (cranberry, pomegranate) are present in both the aromas and flavors. A bit of black raspberry is in there, too, if you reach for it. Nice acidity, not too much tannin--in short, a great food wine. Lightly Oaked Chardonnay--Good with any bucket of fried chicken, or the rotisserie chickens from the supermarket, a lightly oaked chardonnay imparts enough richness to stand up to the bird, whether fried or roasted. One that we liked recently was the 2005 Egret Chardonnay. ($14.99, WineQ) This wine had rich aromas of vanilla and pear, with touches of white flowers. There were flavors of creme fraiche, apple, and pear with a touch of Mandarin orange at the very end. This was a creamy, slightly oaky chardonnay that paired well with food. Sparklers--With everything else, from subs to salads, why not open an inexpensive sparkling wine? We had the NV Zonin Prosecco the other week, and it was a terrific bargain. ($5.99, Trader Joe's; between $5 and $9 from other merchants). This was the color of pale toast, and had aromas of lemon, bread dough, and apple. Lemon and white grapefruit dominate the flavors and produce a very light, refreshing wine that is great value. Remember, this is supposed to be the season of joy. Put that cookbook down and get some takeout. There's plenty of time to make fricasee and beef daube later. After the packages are wrapped. I develop crushes on wine sites. Some of them last only a few weeks, but others stick with me. I got hooked on CellarTracker! a few years ago and visit it compulsively every day. Ditto Chateau Petrogasm. My new crush is on Vinquire, the wine-searching site that delivers a whole lot more than its competitors in my opinion. First, it aims to provide you with information on where to find the wine you want for the price you want without charging you to see all the search results. Second, it has wine 2.0 built into it in the form of customer reviews and recommendations. Third, it has a blog built into it (the latest post was "how to spit with style," for instance). But the best feature you won't see anywhere else is that you can find recommended wines by store chains. Albertsons, BevMo, Costco, Kroger/Ralph's, Safeway/Von's, and Trader Joe's are currently online, and it's great to check out what folks are finding there before you step out to the store and wonder how the wine you've never heard of actually tastes. In exchange for an email and password you can set up an account that lets you submit reviews and thereby fully participate in the sites features. This account also makes it possible for you to access all your reviews in one place, so that the site can function as an electronic tasting journal if you are interested. Two thumbs up to the folks at Vinquire for providing for free what other folks are charging for, and for adding features bound to make wine lovers even more happy. Now that it's the holidays, you are surely looking for some special wines. Check out Vinquire and see if they can help you find it! 1968 has a lot to answer for: the assassination of Martin Luther King; the musical Hair; "Up, Up and Away" winning Song of the Year at the Grammy Awards; the Tet Offensive; the invasion of Czechoslovakia by the Russians; and Fume Blanc. Once upon a time in 1968 a California winemaker named Robert Mondavi decided to buy a load of sauvignon grapes from a local grower. California sauvignon blanc didn't sell well in those days; it was too grassy for most palates. In a game of smoke and mirrors, Mondavi decided to barrel-age the juice (hence fume, or smoked, to refer to the oak influence), and give it a French name that might conjure up images of Pouilly-Fume in the minds of customers. It worked. Sauvignon blanc sales shot up. And the legacy of confusing American wine drinkers with made-up names instead of proper varietal ones continued, so that today many in the US still don't know that Fume Blanc is made with sauvignon blanc grapes at all. Both CellarTracker and the ATF recognize Fume Blanc as a synonym for sauvignon blanc, which is incomprehensible to me. Given my feelings about this dubious historical development, I opened the 2004 Hannah Nicole Vineyards Fume Blanc with some trepidation ($14.99, Wine Q) Just like Mondavi's 1968 version, this fume blanc is aged in oak barrels to give take off sauvignon blanc's more assertive edges. Unlike Mondavi's original Fume, however, this wine is is blended with 12% viognier. This accounts for the perfumed aromas of citrus with a floral overlay. The flavors in this wine were less zingy than zingy than most New Zealand sauvignon blancs, and not as rich as most California viogniers. There were flavors of pink grapefruit and Meyer lemon, with some floral notes on the finish. Despite its oak aging, I didn't detect much discernible oak in this wine, but felt instead that most of the roundness in the flavors was coming from the viognier. All in all I felt this wine had good QPR, and it provided an opportunity to think about wine trends and fashions and the role that marketing plays in telling us what we are--and are not--drinking. What wine did you have with Thanksgiving dinner? The varietal winner so far? Pinot Noir, followed by Cabernet, Chardonnay, Red Bordeaux Blends, and Zinfandel. We drank an excellent white Rhone blend from Tablas Creek, but white wines were the minority in the top ten, which went on to include Syrah, Red Rhone Blends, Riesling, Riesling, Shiraz, and Sauvignon Blanc. The leading producer so far? Kistler (chardonnay and pinot), followed by Turley, Ridge, E. Guigal, and Chateau Ste. Michelle. Kosta Brown, William Selyem, Peter Michael, Beringer, and Carlisle rounded out the top ten. Keep in mind that the numbers reflect that some people were having BIG parties and were lucky enough to have multiple bottles of the same wine to open. They are also incomplete since folks are probably just beginning to count the empties and enter their notes from last night. But it's a fun feature to check out today if you are bored with shopping or finished your turkey sandwich. You can sort the list every which way--by producer, vintage, varietal. Have fun and see where your wine came out in the rankings! 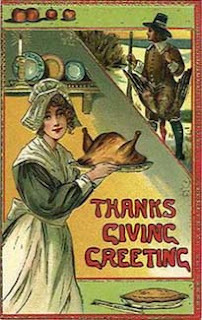 Good Wine Under $20 wishes you and yours a happy, joyful, and safe Thanksgiving. By Friday morning, it is highly likely that you or your loved ones will be uttering a version of Scarlett O'Hara's famous phrase that goes like this, "As God is my witness, I'll never eat turkey again." If this is the case, then there is one surefire antidote to the Bird Blahs: you can spice things up a bit. Thanksgiving dinner tends to be a symphony of earth tones, creamy textures, and fairly bland seasonings. What you need is something vibrant, something red, something with lots of oomph in the flavorings. You need saffron, fennel, garlic, tomato--none of which is normally on the menu for Thanksgiving. You need a bowl of pasta with saffron and sausage sauce. (photo from Food & Wine Magazine) It has chunky tomato sauce, laced with saffron, sage, and basil. Sausage gets crumbled in there, too, and then the sauce goes over any kind of pasta shape. The recipe calls for malloreddus, but I usually use penne and it's just fine. The result is warming, spicy, and silky. With it, pour yourself a spicy, silky wine that can stand up to the tomatoes and the saffron, like the 2003 Herdade do Esporao Trincadeira (this was included in domaine547's Catavino blogger-pack of three Portuguese wines that I purchased recently, or you can buy a single bottle from domaine547 for $24.99) This was a very good bottle of wine. Dark aubergine in color, it wasn't filtered and threw some sediment so if you don't like that you might want to decant. There were spicy aromas of plum and vanilla, which followed through to the flavors. In your mouth, some blueberry notes entered into the mix, and added a nice richness and complexity. There was some grip on your tongue from spicy and toasty oak, but the texture of the wine remained fairly silky. This was my first experience with this grape, which was like a spicy pinot noir, and it represented good QPR. One surefire way to survive the holiday season is to remember that some spice every know and again can really help to balance out the creamy, heavy, and rich foods of the season. We always knew there was very little that would keep Neil the Brooklynguy away from beloved Burgundy wines. But this week he rose to new heights. Despite computer problems, he managed to get the roundup of tastings from WBW #39 ("Silver Coast" Burgundies) up in under a week. There were some new bloggers (like regular reader Jeff at Indiscriminate Ideas), some bargain finds (Farley at her new blog Behind the Vines found a Burgundy for $3.99! ), and all in all 36 reviewers tasted 52 wines. A great showing for a great theme. And next month, there is more fun in store as Sonadora from Wannabe Wino leads us on a tasting adventure through Petite Sirah (or Durif, as it is known in some parts) in Wine Blogging Wednesday #40. This is a great winter wine, with lots of body and should not be confused with a syrah in a 375 ml split--this is its own grape! Get ready for some rich, robust red wine drinking and send her any notes or links by December 12. To read her full brief, click here. And if you want to learn more about the grape, its history, or its producers, you may want to visit the Petite Sirah advocacy group, PS I Love You. 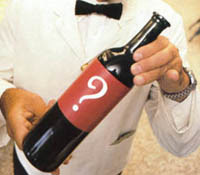 What to drink next month...maybe something from a winery with a big, gnarly old tree...? Over the weekend I discovered that Wine Scamp had given me the nod for a Community Blogger award, along with Jill from Domaine 547 (who started Women's Wine Blogging Day), Tom Wark (from Fermentation) and Lenn Thompson (from Lenndevours who started Wine Blogging Wednesday). I haven't started anything but this blog, but I really appreciated the mention in such great company! The Community Blogger Award was started by CelloBella at redsultana to recognize a blogger who "reaches out and makes the blogger community a better one." It's a great idea, so use these links to spread some love at Thanksgiving and give thanks to those people in the blogosphere who are making it a better place. 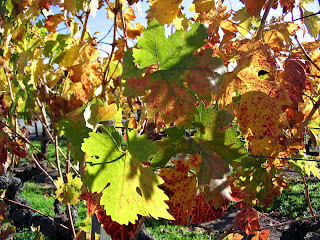 I would like to pass on some of the season's appreciation by not only adding my kudos to the folks above, but voicing my particular thanks to and bestowing Community Blogger Awards on Joel Vincent at Wine Life Today, who has given us a place to post stories of interest to the wine blogging community of readers and authors; and Jason Haas from the Tablas Creek Blog for making me feel like a virtual vintner with his well-written and informative news from the winery. Thanks to both of you for doing what you do! Who are you thankful for in the blogging world? Give them a community blogger award and let them know. It's officially "holiday season." This week marks the beginning of it, and it won't end until 2008. OK, early in 2008. But still. On the list of things that are both joyful and stressful about the holiday season we find food and wine. What to eat, how much to eat, and what to drink with it is such an issue that my traffic triples between November 1 and January 1 with people looking for gifts, menus, and food and wine advice. So what stresses me out during the holidays and how do I cope? First up: leftovers. I find leftovers stressful. They sit in the fridge chiding me for buying too much food. As they turn green, they chide me for not eating them more quickly. And whatever the leftovers are, I'm usually bored with them--that's why they turn green. The answer is a 30-minute pot pie courtesy of Rachael Ray. (photo courtesy of FoodNetwork) Even if you normally turn away from Ms. Ray's culinary creations, do not do that now. This is not any old pot pie. No fiddly crusts, no poufy puff pastry from the freezer. 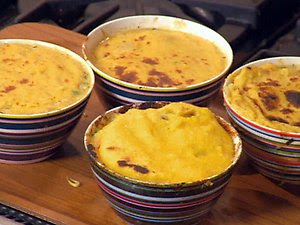 We're talking rich, comforting, and creamy pot pies with tiny little peas, carrots (of course), chunks of chicken or turkey, fresh tarragon snipped into the sauce, and then a layer of cheesy polenta on the top. Ms. Ray requests freshly browned chicken bits, but chunks of cooked, leftover bird would be just perfect. This layered beauty gets put in one or several oven proof containers and run under the broiler for a few minutes to get brown and bubbly. Voila. Perfectly unrecognizable leftovers, suitable for immediate eating, for sticking in the fridge and taking out after you get back from the mall so you can warm it in the microwave, and even for sticking in the freezer and warming up on a snow-day when you can't leave the house. I'm fond of single-serving pot-pies that you can do in oven-proof soup bowls or ramekins, but you can certainly make one giant one if you wish. A great wine that doesn't cost too much and goes with practically everything will only increase your odds of holiday survival. 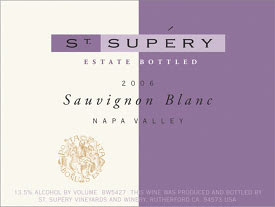 A perfect partner for the pot-pie (and scores of other foods to numerous to mention) is the very good QPR 2006 St. Supery Sauvignon Blanc. I received this from the winery as a sample, but you can easily get yours for between $12-$20. This California sauvignon blanc is made with a nod to New Zealand's Cloudy Bay, but because it possesses Napa Valley fruit it is rounder and riper. Aromas of pink grapefruit, lemon, and chalk are juicy and fresh and very enticing. Flavors of pink grapefruit, apple, and mineral are the perfect follow-through to these aromas. I found the mineral note very distinctive, and it made the wine really stand out for me. Furthermore, this wine was rich and medium-bodied, but not oaky. This proves that you don't have to reach for the oak if you want a fuller sauvignon blanc. This was well-made and a definite rebuy as far as I was concerned. With potpies and sauvignon blanc waiting in the wings, I am confident I will survive. At least until next Sunday! I had to do it, didn't I? I went out yesterday and got 2 bottles of Beaujolais Nouveau at my local Beverages & More wine supermarket. One was slightly more than $10, one slightly less. I decided to drink the better known 2007 Georges Duboeuf Beaujolais Nouveau ($11.99) with family in a few days. But I ordered takeout pizza and popped the cork on the other bottle after leaving it in the fridge for about an hour. The wine was a 2007 Bouchard Aine et Fils Beaujolais Nouveau ($9.99). And it was a surprise. I went in expecting to scoff entirely at this wine, but found myself enjoying it more than any beaujolais nouveau I've had in quite a while. The wine was unexpectedly heavy for a new gamay, with a true cherry color. Aromas of strawberry and earth also appeared in the flavors, along with a note of cracked black pepper. There was a bit of an artificial banana aftertaste that was especially noticeable when the wine was just opened, but I found it blew off leaving me with something that was not too far off a normal inexpensive beaujolais. This wine was just great with takeout pizza, and it wouldn't be bad with turkey and all the fixings on your big day, or with leftovers in the days (and weeks) after that. Is this a profound wine? A serious wine? A wine to lay down by the case? No. Can you do better for under $10? Yes. QPR on this wine? Irrelevant. What are you going to compare it to? Previous beaujolais nouveau? With the dollar doing what it's doing? If you are going to buy one of this year's beaujolais nouveau wines, drink it now. When you do, you will be participating in one of the world's silliest wine rituals--though I am deeply alarmed at the carbon footprint issue that goes along with this wine and may have to give up my yearly habit. And if you like it even a teensy little bit, do yourself a favor and drink a real gamay wine. They are superb! I don't often write about wines that I find disappointing. With so much good wine to review, and only so much time, I would rather focus on the great finds that you can make in your local wine store, rather than listing all the wines that I'm less thrilled with once I've opened them. I also do a fair amount of research and go to a lot of tastings, so I'm less likely to wander too far away from wines that I have a reasonable expectation of liking. There are times when I pop the cork only to discover that the wine inside the bottle doesn't live up to my expectations. This is even more aggravating when I've spent more than usual. I found a bottle of the 2005 Adelsheim Pinot Noir for a great price, and was excited to try it. (Red Carpet Wine, $24.83; available elsewhere for between $23 and $34) There is a lot of positive buzz about this winemaker, the WineScamp loved this wine, and I'd never had one before. I love pinot noir. It all looked good! It turned out to be an expensive disappointment. 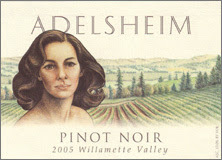 The 2005 Adelsheim Pinot Noir had aromas of funky earth, acetone, and stewed cherries. There were flavors of earth, pine, and sour cherry. The wine was reasonably complex, but the flavors and aromas didn't hang together and that acetone note was hard to get past. It made the fruit fade into the background, and the wine lacked balance as a result. For this price, I didn't feel that QPR was there, so poor QPR on this bottle. I don't drink much Oregon Pinot Noir, it should be said, and I'm not the world expert on wine chemistry either. Anyone who is reading this who'd like to chime in with their experiences with this wine, or to let me know whether this may have been flawed by volatile acidity, please do so. Otherwise, I'm just chalking this up to experience. This month's Wine Blogging Wednesday has a theme that's near and dear to my heart: value wines from Burgundy. Our host for this week's event, and the genius behind the theme, is Neil the Brooklynguy Who Loves Wine. He asked us to look for Burgundies from a specific region that often has better values than those found on the Cote d'Or (Burgundy's Gold Coast). In the Cote Chalonnaise and the Maconnais (map of the latter to the right), Neil explained, it was possible to find excellent wines that were characteristic of Burgundy but did not always have astronomical prices associated with them. I've been drinking a lot more Burgundy this year, since I am trying to get over my phobia that all Burgundies are going to be wildly expensive. So I was eager to see what the store would turn up. 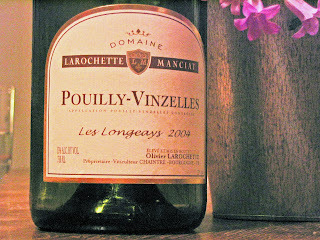 What I found was a white Burgundy from Pouilly-Vinzelles in the Maconnais: the 2004 Domaine Larochette-Manciat Pouilly-Vinzelles Les Longeays made from chardonnay grapes. ($15.95, Chronicle Wine Cellar; available from other merchants for around $19). This was one interesting bottle of wine: it was fascinating to drink and gave you lots to talk about if you were tasting it with others. It was bright straw in color--not too golden, nor too pale. When you sniffed it there was no fruit. At all. It smelled instead of almond, hazelnut, and stone. These nutty and mineral notes were echoed in the flavors, with perhaps just a whiff of citrus when the wine entered your mouth. The wine had a quality of a live electric wire after a storm (in a good way! ), and it felt tense and alive in your mouth. This wine was fresh and complex, and delivered an awful lot for just under $16, so I thought it represented excellent QPR. We had the wine with some mustard-tarragon roast chicken, some noodles tossed with parsley, and a salad. It was nice with the dish, but I think something even simpler--broiled scallops or fish, perhaps--would have been an even better pairing. The tarragon and Dijon mustard threatened to overwhelm the wine here. Thanks once again to our host, and to Lenn Thompson of Lenndevours who dreamed up this event more than three years ago. I'll be sure to let you know when Neil posts what promises to be a terrific roundup, and I'll see you back here in December for WBW #40. I'm a novice when it comes to Portuguese wine. Until recently I'd never had anything other than port from this region. WBW #38 really opened my eyes to the wonderful variety and stunning value of Portuguese wines, and so it was especially exciting for me to attend yesterday's "Wines and Portos of Portugal" tasting in Los Angeles at the Ritz-Carlton in Marina del Ray. Sponsored by the Instituto dos Vinhos do Douro e Porto and ViniPortugal, I learned so much from this tasting. Yesterday's event was one of a series of tastings that are being held throughout the country to introduce folks to Portuguese wine, and if you are living in Portland, Seattle, or Boston I highly recommend that you attend one of the public tasting events that is happening over the next few days and weeks. More than seventeen different producers were there, pouring both ports and table wines. The cost is only $25-$30 and the proceeds benefit local humane societies (the cover image from the program celebrating another indigenous Portuguese beauty, the water dog, is to the right). So what did I learn from my tasting? 1. Portuguese wines are food friendly. I sampled dozens of wines and I can say in truth that I didn't taste a single one that didn't make me think, "oh, this would be so great with X food." The real revelation for me here was Trincadeira, a native varietal that has all the silky and fruity qualities of pinot noir, with aromas of summer flowers and fields. The 2006 Vila Santa Trincadeira made by Joao Portugal Ramos was silky, and tasted like blackberries and cream. It would have been perfect with any food that you normally pair with pinot noir. I was so keen on Trinacadeira by the time I left the tasting that I went home and opened up a bottle that was in my cellar! 2. Portuguese wines represent insanely good value. Many of the wines I tasted are not yet available in the States (see #5) but of those that were, I was taken aback at how inexpensive they were compared to other US and European bottlings. Most were well under $20. And they had complexity and finesse, to boot. 3. Portugal produces aromatic reds and crisp whites. Portuguese wines will clear all the cobwebs out of your palate. These whites were crisp, clean and lively, especially wines such as the NV Aveleda Vinho Verde, which retails in most places for around $5. Some tasted like champagne without bubbles, like the 2006 Quinta da Aveleda Vinho Verde which retails for around $6. On the red side, the table wines had amazing, evocative aromas of flowers, herbs, and stone. The 2003 Herdade do Meio Garrafeira from Alentejo smelled of violets, and had flavors of blackberry and cherry. The 2006 Marques de Borba had aromas of cherry blossom and raspberry. And the 2003 Conde de Vimiosa Reserva exploded in your mouth with eucalyptus, cherry, and an intriguing note of grilled meat. 4. Portuguese wine makers are experimenting with the newer "international style" of wines, but they haven't forgotten their wine-making roots. Trinacadeira, Touriga, and Maria Gomes are just some of the varietals that I tasted yesterday, and they are featured in the blends that so many Portuguese wine makers favor. There is cabernet sauvignon, too, and Aragonese (as the Portuguese call Tempranillo), as well as Alicante Bouschet. Portuguese wine makers are clearly dabbling in the more international style of wines made with more oak and heavier body. One of the standouts of this style for me was the 2004 Bacalhoa Palacio da Bacalhoa, with its blend of Touriga, Petit Verdot, and Cabernet Sauvignon. This was smooth, silky, and aromatic with dry black cherry flavors and a sophisticated use of oak to lend it some grip and smokiness. But they are not leaving their native varietals, relatively low alcohol levels, and traditional flavor profiles entirely behind, either. 5. Portuguese wines need wider distribution to US consumers. These are fantastic, fantastic wines. Yet many of them are not available in the US. If you are a store owner, distributor or sales rep and you are reading this, what are you waiting for? I found 1 bottle of Portuguese wine in my area of LA last month after 3 weeks of searching and visits to nearly a half dozen stores. US consumers are thirsty for more great value wines, and they are more willing to try new varietals than ever before. Help us out, and bring these wines into our stores. If you are skeptical, I assure you that one Saturday tasting is all it will take to get them flying off the shelves. After this tasting, I am fully convinced that Portuguese wines are the next big thing. Spanish wines have primed us for all that the Iberian peninsula has to offer. And what a fun trip it will be to explore this region and its wines! I'll have some more specific notes on wines and producers in upcoming posts, but until then start asking your local merchants to stock some Portuguese wines. I sure hope that this will become an annual event here in LA, because I ran out of time before I tasted a drop of the ports that were being poured! And they were pouring some that were 40-years old. After Pinot Days this summer, I was afraid I'd never find another good pinot noir under $20. Then I found the Navarro Pinot Noir that's in my Thanksgiving picks for this year, and now I'm happy to report another find: the 2006 Veramonte Pinot Noir Reserva. I received this as a sample from the winery, but you can get your own bottle for around $15 from most merchants. 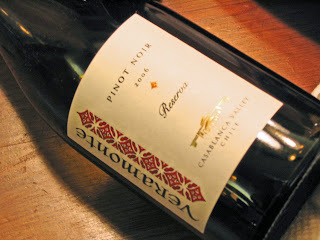 The grapes for the 2006 Veramonte Pinot Noir Reserva come from south of the equator, in the Casablanca Valley of Chile. The wine is made from 100% pinot noir grapes that see eleven months in 100% French oak. The result is a wine that is bright cherry from the moment it's poured through the aromas and flavors. As you drank the wine and it opened up the cherry flavors got richer and blacker. Cool notes of green tea and mint entered into the wine as you swallowed it, and there was a nice, juicy finish with herbal and spice elements. Even though the richness was noticeable in this wine, there was still a silkiness of texture that I associate with pinot noir. Excellent QPR. We had this wine with a stir fry made of sliced pork tenderloin, wild mushrooms, and Asian spices. This was a lovely match for the wine, and the silkiness of the mushrooms paired very nicely with its texture. The bright cherry flavors were a nice counterpoint to the ginger and garlic, and the green tea notes in the wine lent a cool, Asian influence. Veramonte hired Paul Hobbs to serve as the consulting winemaker for their pinot and chardonnay. Hobbs has his own label here in the US, and you can read about his harvest experience from this fall over at Wine Spectator. Hobbs introduced some of his favorite wine-making techniques into Veramonte's bottlings, like wild-yeast fermentation. The 2006 is a new release, so keep your eyes out for it in the store, because it's not going to sit on the shelves for long given its quality and its price. And if you see it while you're out shopping for your Thanksgiving wine, grab it. It will be perfect with most Turkey Day feasts. Roshambo Winery, the unpretentious and fun winery that is also home to an annual Rock/Paper /Scissors tournament, has a new tasting room. What could be better than telling you about it, and what you might be able to taste there, in this week's Tasting Room feature? After selling its previous winery and tasting room on Westside Road in Healdsburg, and then moving their operations slightly down the road into the "Roshambus," Roshambo's Naomi Brilliant secured space for a public tasting room in Carneros at Cornerstone Place. If you are out Carneros way, I urge you to stop by and help them celebrate their new digs. While you're at it, you can taste some awfully good wine, like the wines described below that I sampled at this summer's Family Winemaker's Event in San Francisco. The prices indicated below in brackets are the recommended retail price. Clicking on a highlighted wine name in any of the notes takes you to Wine-Searcher, where I was able to find listings for some of the wines. 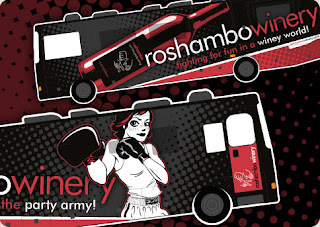 To purchase the full range of Roshambo wines, including those not listed on Wine-Searcher, visit their online store. 2005 Roshambo Zinfandel The Reverend ($16). Another wine made with Dry Creek Valley fruit. This had a nice long finish on this brambly blackberry-flavored wine. Cracked pepper aromas and spiciness on the finish added to the interest. Excellent QPR. 2005 Roshambo Sauvignon Blanc The Obvious ($15). Very much in the style of a New Zealand sauvignon blanc, this wine had zesty citrus and gooseberry aromas and flavors. Nice value, and very good QPR. 2005 Roshambo Syrah Rosé Imoan ($16). Made from Dry Creek Valley fruit, this wine had strawberry aromas and flavors tending towards watermelon as you headed towards the finish. Nice notes of rose petal, and a zingy pink grapefruit accent at the very end. Very good QPR. 2005 Roshambo Chardonnay Imago ($17) Nice pear and mineral aromas and flavors dominate this wine, complemented by nuances of white peach and lemon. Clean and refreshing, and one of my Thanksgiving picks. Very good QPR. 2005 Roshambo Carignane The Rat ($25). Spicy red fruit in a silky, open-textured package. Accents of cinnamon and clove in the aromas and on the finish. Very good QPR. 2004 Roshambo Syrah Justice ($25). I liked this wine, with its dark, dark color and aromas of caramel and brown sugar. These were a nice prelude the blackberry fruit flavors, and the spicy finish. Good QPR--and if you can get it for less on sale or from your local merchant, very good QPR. 2005 Roshambo Pinot Noir “Frank” Frank Johnson Vineyards ($25) Roshambo’s first ever pinot noir, this is aromatic with high-toned cherry flavors. There is a rich finish, but the flavors beforehand are a bit hollow. Good QPR. Have a great weekend, and we'll see you back here next week. Lenn of Lenndevours, with a fair amount of encouragement from Twisted Oak's El Jefe, asked his readers to show us their racks today. No, the man who asked you to enjoy naked chardonnay for WBW #36 is not asking you to flash the wine world. He just wants to see where you store your wine. Check out your favorite blogs today to see how we store our wine, and if you feel moved take some pictures of your own wine storage and upload them to Lenn's Flicker project. The Vinotemp wine fridge to the left represents GWU$20's premium storage facility. It was bought last spring at Costco for just shy of $600 plus the cost of a truck rental from Enterprise since the damn thing wouldn't fit in my car! I purchased it after a lengthy and useful discussion here about what I should do to properly store wine in LA over the hot summer. Until my ultra-deluxe closet is built in what is now a china cabinet (thank you, El Jefe, for this suggestion! ), this plug-in unit is fitting the bill and providing room for 52 of my more expensive and long-lived bottlings. One day, it will go into my kitchen when it receives a major overhaul. 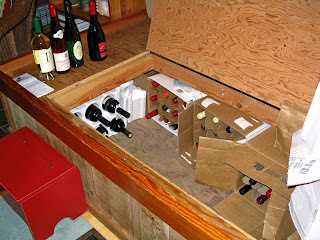 Most of my stored wine, however is parked under my windowseats on the Sonoma Coast. There are six cases of wine up there, stuffed into boxes and sitting in the cool, damp air of an unheated house that never goes below 50 degrees. 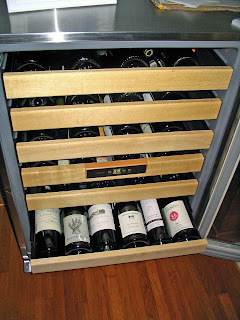 I am thinking of upgrading my boxes and getting some of these nifty running shelves from Wine Enthusiast. Making this improvement would have the added benefit of me being able to actually tag the wines so that I am not rummaging through them in pursuit of my Escafeld Zinfandel! Back in LA, overflow from the wine fridge can be found in one of two places: my guest room closet, which thanks to our stucco walls stays quite cool for 9 months of the year. 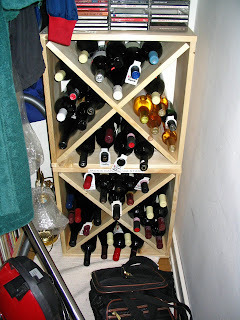 And the white wines I will drink over the next week or so get moved out of the closet and put in the worst of all storage options: those silly wooden racks in the kitchen. Happily, they are not above the refrigerator. And fear not, they sit there no longer than 10 days. My criss-cross wooden racks in the kitchen are simply the staging area for wines that will be popped into the fridge a few hours before dinner to cool down to the right temperature. It's too embarrassing to include the photo here, but I'll upload them to the Flicker pages. Thanks to Lenn and Jeff for this Friday fun! We used to say "Beaujolais Nouveau est arrivee!" Not anymore. 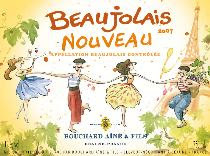 Beaujolais has a new slogan, which unfortunately for me conjures up cans of beer: "It's Beaujolais Nouveau Time." In one short week beaujolais nouveau will be shipped, airlifted, and dropped into the hands of waiting consumers all over the world who for a variety of reasons look forward to this yearly wine event where extremely young wine is exposed to an international audience. The wine gets a mixed reception, as you would imagine. Some love the simple festiveness of it all, and drink it slightly chilled while making the dinner they will serve with Some Other Wine. Others deplore the fact that when there is so much truly excellent, inexpensive cru beaujolais out there, we prefer the far less interesting beaujolais nouveau even when it costs more. And it often does cost more. Not to mention the huge carbon footprint that all this is leaving on the earth every time so much wine has to be moved so quickly. Personally, I wouldn't miss buying at least one bottle of beaujolais nouveau. For me, missin gout on it is like missing out on apple cider at Halloween, pumpkin pie at Thanksgiving, or a Cadbury creme egg at Easter. None of these items appeals to me at any other time--but I want them when the season is upon us. If you are in LA and want to join in the celebrations, you can attend the special beaujolais release event at the Shrine Auditorium. Not in LA? Don't worry. Chances are excellent that there is an event in your area, too. So what are you planning for next Thursday? Will you be drinking bojo novo? Holding out? Drinking something else? Let us know! Malbec is a big, blue, brawny red wine that is most often associated with the Mendoza wine region of Argentina, even though its roots can be found in Bordeaux, where it was used for centuries as a blending grape. I've had two different kinds of Argentinian Malbec. One is soft, fruity, and plush. The other is surprisingly complex, with herbs, leather, and mineral notes mixed in. No matter what kind of Malbec you prefer, there are bottles out there for under $15 and they are wonderful red wines for fall because they go with such a wide range of soups, stews, and roasts. 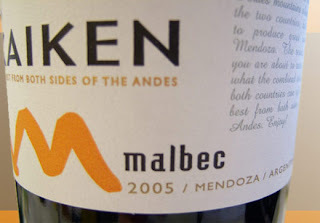 Take the 2005 Kaiken Malbec for instance. ($8.99, Costco; available from other merchants for $8-$15) This was a malbec that was soft, lush, and pleasantly easy to drink. There were huge blackberry and blueberry aromas that were so clear and distinct there is no way anyone could take a sniff and say "I can't smell anything but wine." The wine tasted plush, and had a thick, velvety texture. There was a fair amount of oak mixed into the blackberry fruit flavors that dominated this wine. Some might call it a simple fruit bomb, but it was awfully tasty and I thought it represented good QPR. A completely different Malbec drinking experience was had when domaine547 gave me a sample of the 2006 Bodega Renacer Punto Final Malbec to try ($13.99, domaine547). This was fruity, to be sure--but it was no simple fruit bomb. Similar aromas of blueberry and blackberry were accompanied by notes of leather and anise which made for a combination of smells that was rich, deep, and autumnal. The berries and spice aromas were echoed in the flavors, but the wine had additional notes of herbs (I thought I tasted eucalyptus, but others described it as mint) and a tight mineral twang. I wondered if it was still a bit too young to reach its full potential, but given its complexity the extra $5 was worth it to me and I thought for under $15 this was excellent QPR for a surprisingly complicated wine. Bodega Renacer makes a reserve version of this wine, too, which I've never had. If you've tasted that, please leave a comment and let us know how it compared to the regular, "classic" bottling pictured here. We drank these wines at dinner party with grilled steaks and all the sides you would get in a steakhouse. The Bodega Renacer Malbec was drained long before the Kaiken Malbec, so I definitely think it was the wine that the six of us preferred. No matter whether you like your reds soft and fruity, or complex and meaty, there is a Malbec for you at a price you can afford. How do you Malbec? 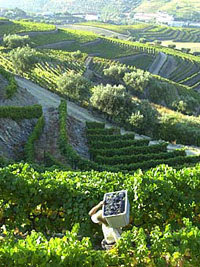 Next Monday (November 12, 2008) Vini Portugal will be hosting a Portuguese wine tasting at the Ritz-Carlton. More than 150 Portuguese wines (both table wines and ports) will be poured in luxurious surrounds, and what's even better is that ticket proceeds will benefit spcaLA, the organization that's been helping animals for 130 years. The ticket price is unbelievably affordable at just $25. Contact spcaLA for tickets, or buy them at the door. The doors open to the public at 5:30 and they'll keep pouring until 7:30. I'll be there, and hope to see you there, too. Great wine, a great cause, and a great opportunity to explore the wonderful wines of this region. Are you feeling a bit besieged? Is your to-do list longer than the combined total length of all your limbs? Does your boss keep giving you "just one more thing" to do before you leave work today? You need to add some sparkle to your life. And if you feel like I do, this is not the time to go for the cheapest thing you can find. As life heats up and we move towards the holidays, why not take some time out for you and the one you love and buy a nice bottle of sparkling wine, put your feet up, and take a few moments to relax and recoup? I have two contenders for you that are widely available and won't require much hunting. If you are feeling stressed out, the last thing you need to do is spend time in the car searching out a less familiar sparkling wine. I'm usually a big advocate of lesser known varietals and makers, but sometimes you just want to pick up the sparkler with the milk and head home. Here in Southern California, both of these wines are available in supermarkets and Trader Joe's. They are well-made, widely distributed, and nice to drink. 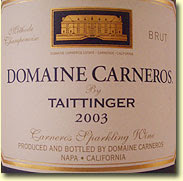 The 2003 Domaine Carneros Brut is a vintage sparkler that is priced lower than many non-vintage sparklers. ($19.99, Beverages and More; available from many merchants for just under $20) The age on this wine makes it more toasty and biscuity than the NV sparklers you may drink more often. I found this wine full of mineral notes, especially stone, in both the aroma and in the flavors. The flavors were a nice blend of citrus, biscuit, and stone which made it an interesting sparkler for the price, and excellent QPR. 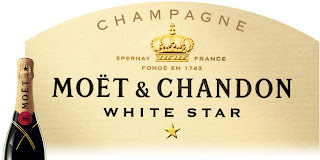 If you would like to buy a real French champagne without breaking the bank, the NV Moet and Chandon White Star is a good QPR sparkling wine that is available everywhere. ($30.99, Trader Joe's; available from nearly everybody for around this price) The color reminded me of underdone toast, and it had lots of fine mousse. I found the medium size of the bubbles a bit larger than my preference, but its aromas of hazelnut and toasted bread made up for that. The flavors were nutty, toasty, and had just a hint of pear underneath. This champagne is just a bit shy of true brut, so it wasn't searingly dry. This would be perfect with some crackers and cheese, and just as good on its own. Give yourself a chance to relax and reconnect with your nearest and dearest in the next few weeks. Pretty soon, it's all going to be a blur of friends, family, and festivity. Add some sparkle to your life now, and you'll get through the holidays with no trouble. Last year I posted a set of general things to think about when planning your Thanksiving food and wine pairings. Rather than repost it or try to find a new way to deliver the same advice, I'm just going to tell you that you should read it first by clicking here. Then, use your back button to return to this year's wine picks. So here they are, the 2007 Edition of GWU$20's Thanksgiving wine recommendations. Enjoy your big day with family and friends and remember to RELAX. It's all going to be fine--trust me. NV Cristalino Cava Brut ($6-$9) Interesting aromas of bread dough and lemon give way to a citrusy palate with an edge of buttered toast. Reasonably good finish for a budget sparkler. A great bubbly for mimosas, but alright on its own with food, as well. NV Blason de Bourgogne Cremant de Bourgogne Cuvee Brut ($8, Trader Joe's) Straw colored, with a fine mousse and tiny bead. Aromas of pears, toast, and apples. Apples, and nuttiness on the palate. Finish has a slight pithy bitterness to it. Deliberately reminiscent of Veuve, at a fraction of the price. NV Gruet Brut Blanc de Noirs ($10-$23). Pale copper color. Small bead but lots of froth. Nutty and apple aromas, more hazelnuts, apple, and a touch of berry on the palate. Nice brut wine, not harsh, with more complexity than many at this price point. 1998 Cameron Hughes Lot 25 ($18.90) Outstanding sparkling wine with some age on it. Buff color, biscuity and appley aroma. Fine mousse and bead. Long, rich brut finish. Exceptional value. 2006 Vinum CNW (Chard-No-Way) Chenin Blanc ($8-12). Very good chenin blanc, with a nice balance between bright citrus and soft melon flavors and aromas. Slightly silky texture. Will match beautifully with just about any style of sidedish you might put on the table, from light to heavy and mild to spicy. 2006 Mason Cellars Sauvignon Blanc Pomelo ($8-$14) Lots of grapefruit, clean flavors, crisp finish. A crowd-pleaser, and a little less grassy than the Cameron Hughes. 2006 Chateau Lamothe de Haux Blanc ($9-$11) Was pleasantly surprised at this wine, given the low, low price and the nice aromas of melon and citrus. These notes were echoed in the flavors, which were round and juicy. A full, delicious example of a dry sauvignon blanc-semillon blend. 2006 Cameron Hughes Sauvignon Blanc ($11). Textbook example of a Marlborough sauvignon blanc. Pale, almost watery color with tangy aromas of cut grass and citrus rind. The palate is predominantly white grapefruit and a bit of lemon, but the grass notes are reintroduced in the juicy finish. Great for those serving light side-dishes, lots of salads. 2005 L'Ecole No. 41 Semillon ($13-$21) Gleaming golden color with aromas of toasted bread, pear, and butterscotch. Butterscotch, vanilla, and pear flavors. Round and rich, with good mouthfeel. Would be particularly good with heavier side dishes and smoked turkey. 2005 Roshambo Chardonnay Imago ($15) Nice pear and mineral aromas and flavors dominate this wine, complemented by nuances of white peach and lemon. Clean and refreshing. 2005 Tablas Creek Cotes de Tablas Blanc ($15-$21) Very good white Rhone blend. Viognier is evident in the aromas and first sips, which are floral and perfumed. Crisp citrus flavors and a juicy finish. Excellent balance. This is what we'll be having for dinner! 2006 Eaglepoint Ranch Albarino ($18). Excellent domestic albarino. This one smells and tastes of almonds, apples, and citrus. Bit of a spritz on first opening, this quickly dissipates leaving a lively still wine. It has great acidity, but a rounder flavor profile than many Spanish versions of wines made with this varietal. This is less tangy, and the citrus takes a decided back seat to the almonds and apples. Roses--they're extremely popular right now, and shedding their 80s image. Remember, even if you don't want to serve a rose with dinner, they are a great match for leftovers in the days and weeks to come. 2006 Cameron Hughes Campo de Borja Lot 37 ($10). Deep, rich color. Floral aromas mix with whiffs of pretty raspberry and strawberry. On the palate, the first taste you get is pure strawberry essence, with a note of watermelon on the finish. Has some streaks of mineral running through it, too. Round, rich, dry. 100% grenache. 2006 Domaine de l'Hortus Bergerie de l'Hortus Rose de Saignee ($11-$15) A deep rose color distinguishes this wine, made from the saignee process. Aromas of soft strawberry and wet stone lead to a cranberry and strawberry palate with a bit of mineral and stone on the finish. 2006 Coral Mustang Tempranillo Rose Vista Creek ($15). Dark rose in color, made with 100% Tempranillo. Beautifully balanced rose with a dry finish. Aromas of rose petals, raspberry, and strawberry lead into a round berry palate. 2006 Handley Pinot Noir Rose ($18) An outstanding domestic pinot-based rose. Strawberry and raspberry without any candied watermelon notes, bone dry, and silky. Reds--for those who like something more robust with their turkey, these are not so heavy that they will overwhelm your side dishes. 2005 Beckmen Cuvee le Bec ($11-$19). Good structure and depth to this blend of grenache, syrah, counoise, and mourvedre. Berry and chocolate aromas and palate. 2006 Solo Rosa Pinot Noir Piccolo Rosa ($13-$18). Unlike any other pinot I've tasted, this wine is not aged in barrels, but stainless tank fermented. As a result, it is a medium bodied wine with a flavor profile halfway between a gamay and a pinot. Aromas of cherry, with a faint whiff of rose petals. The flavors are cherry, rhubarb, and a bit of meatiness as you head towards the finish, which is not long. 2005 Eaglepoint Ranch Grenache ($14-20). Smells like a grenache, drinks like a beaujolais. Aromas of herbs, plums, and blackberries to start. This was followed by a wine with a distinctive strawberry note at the core of its flavors, and some mineral inflections. 2005 Navarro Vineyards Pinot Noir ($18). Rose aromas and juicy black cherry fruit are the entry to this very good wine with medium toast on the mid palate and a good balance already between fruit, spice, and acidity. Light- to medium-bodied, and a great deal for the price. 2004 Escafeld Petit Verdot ($20). Rich aromas of roasted coffee, chocolate, and berries give way to a silky palate of blackberries, huckleberries, and touches of spice. More chocolate and coffee on the finish. If you like robust reds with your turkey, this is the wine for you. 2003 Robert Pecota Muscat Canelli Moscato d'Andrea ($12/375 ml). Aromas of honey and beeswax on first opening. Satiny texture, not thick or unctuous. As the wine warms in the glass, aromas of honey, honeysuckle, orange blossom, and lemon are echoed in the palate and joined with a bit of rich creme fraiche on the finish. Honeyed notes give it the illusion of botyritis, even though that is not present in this wine. Not overpoweringly sweet.